Wikidata has entry Q174614 with data related to this item. 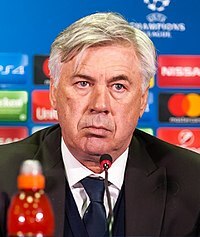 Media in category "Carlo Ancelotti"
Coaches of Real Madrid C.F. This page was last edited on 24 May 2018, at 21:40.